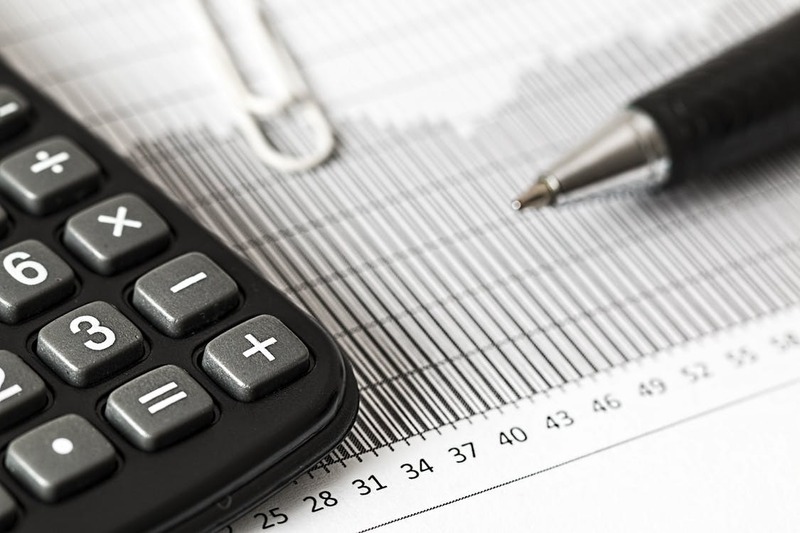 Economic Profit (EP) is a measure of performance that draws on information from the income and balance sheet statements and compares net operating profit after tax to the cost of ALL the capital invested in the business or organisation. It is rooted in the belief that value is created by investing capital and generating returns, often over time, greater than the cost of that capital. As a managerial metric, EP has important advantages over earnings, return on investment, or even cash flow. Uniquely it contains an income statement measure, a related balance sheet measure and an external capital market measure, all in one number. It is this combination which gives EP a signaling attribute that is superior to other financial metrics and provides a much closer linkage than any other metric between a company’s strategic or product market operation and its financial or capital market performance. As a metric, it frequently exposes several well-established but nonetheless bogus myths – for instance, only when the benefits from revenue growth are greater than the cost of the capital to facilitate such growth, is it value-creating. Far too often, it is generally assumed that all revenue growth is a good thing when it can (and frequently does) lead to increased value destruction whereby the resulting returns are less than the cost of ALL the capital required. Accordingly, strategic decisions based on the revenue growth and earnings metrics are unlikely to be value maximising from either a shareholder’s or an organisational perspective. It is not uncommon for management teams to be shocked when they are presented with the real picture of value creation and destruction across their organisations – often this is because they have been managing and making decisions on their organisations whilst in effect “flying blind” – not seeing the true picture of value creation and destruction. What is the formula in more detail? When companies announce their earnings or results, financial analysts usually focus on revenue, EBITDA (Earnings Before Interest, Tax, Depreciation and Amortisation) and EBIT (Earning Before Interest and Tax) for a ‘Pre-Tax’ view and perhaps Net Operating Profit After Tax (NOPAT) for a ‘Post-Tax’ view. To achieve maximum clarity, we endeavour to calculate Economic Profit (EP). 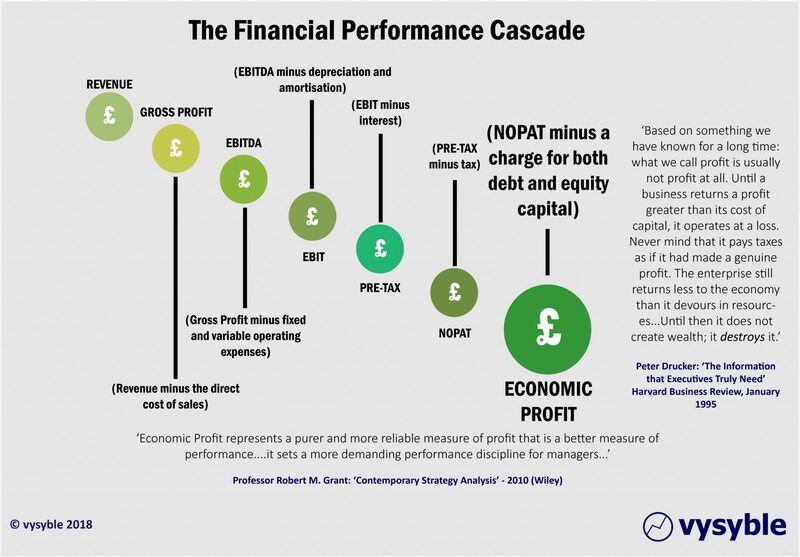 This is the last available step in the financial performance measurement cascade (see illustration below). Furthermore the metric can be developed to establish the efficiency of the business in creating value. This is the EP/R Value® where the relationship between revenue and EP achievement is expressed in a single number. The ability to compare on a like-for-like basis enables the provision of indices and comparison tables. The absolute value and movement in the EP/R Value measure thus enables comparisons to be made between companies, sectors and industries in terms of their relative efficiencies or deficiencies in generating EP. An example of this capability is the vysyble Football Profitability Index™ (FPI) which tabulates the EP/R values for each of the English Premier League clubs. For commercial reasons, the individual EP/R Values in this case are also known as FPI values. The individual index values are rebased to 100 so an easy-to-reference comparative between revenue and EP performance can be made based on a £100 revenue multiple. If you want to see how all this is put into practice then please read the following article published in the Irish Examiner – Will TV bring down football?